There are three columns: Month and Product, which contain text values, and Sales, which contains an integer value. This is the data that we want to push up to Power BI. Copy the URL and put it somewhere handy – you’ll need it in a moment. 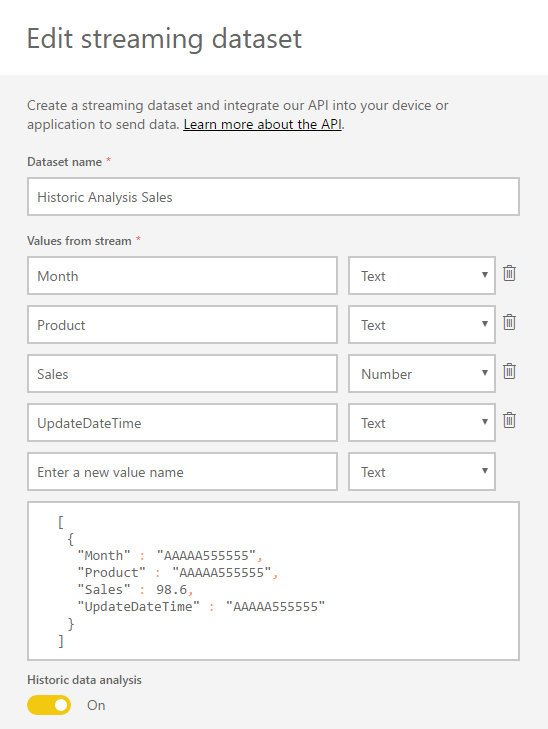 Sends the data to the streaming dataset using Web.Contents() to make a POST request. See this post on how to make POST requests using Web.Contents() and this post on the technique I’m using to handle HTTP errors manually. Frustratingly there’s no way to create a measure or otherwise aggregate data here. In this example you’re using all of the fields in dataset in the chart; if you left out Product, however, you wouldn’t see aggregated sales for all products you would just see data for one (the last?) row in the table for each month. 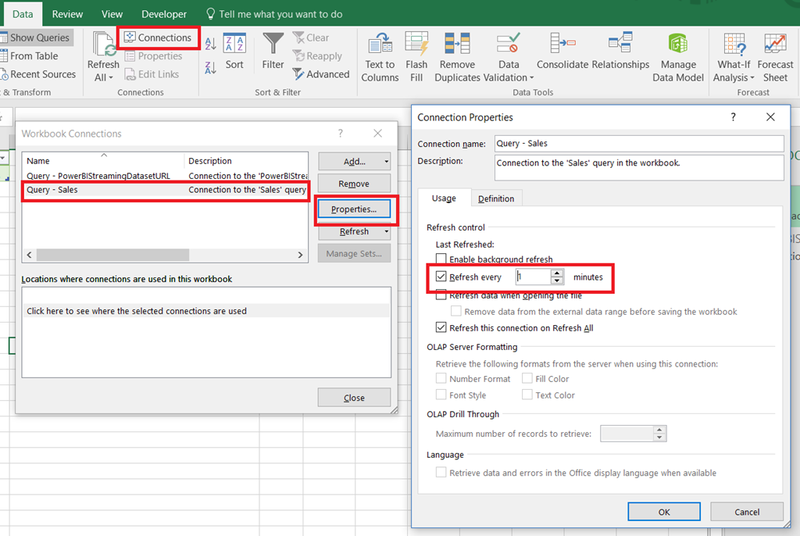 When you change the data in Excel, after the Power Query query has run in the background every minute, the new data will appear in the chart. There’s a new field called UpdateDateTime (which is of type text, not datetime, because I found this worked better in reports) and the Historic data analysis switch is turned on. You can download a demo workbook with this second example query in here. 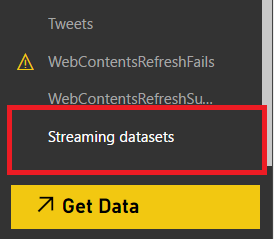 It’s important to realise that unlike the dashboards, reports connected to a streaming dataset don’t refresh automatically – you have to click the Refresh button on the report. Although the examples in this post are perhaps not all that practical, hopefully they show what’s possible with the streaming API and some M code. 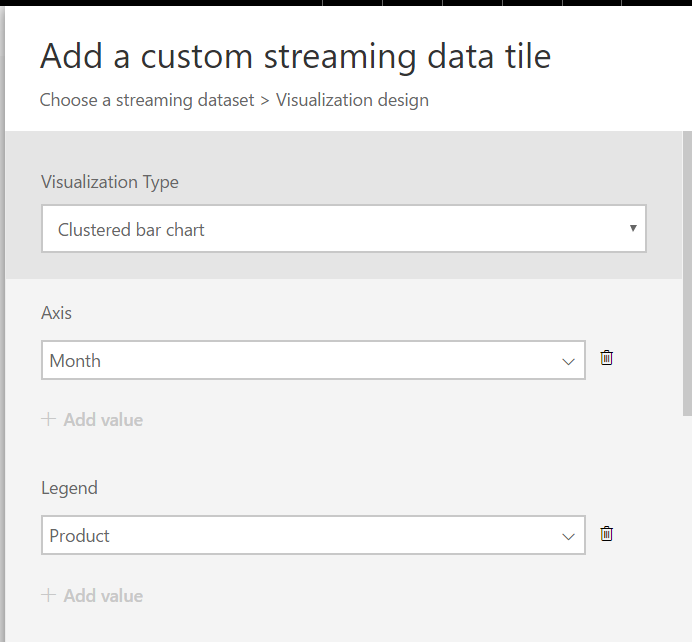 It would be great if we could do data modelling-type stuff like add measures in the web interface, in the same way that we can in Power BI Desktop, because that would open the door to doing even more cool things with streaming data. Even if your Excel workbook is on a PC, you can still install the Power BI Personal Gateway (https://powerbi.microsoft.com/en-us/documentation/powerbi-personal-gateway/) to connect to it, I think. That’s a lot less complex than the example I have here, although you are a lot more limited in your refresh options. 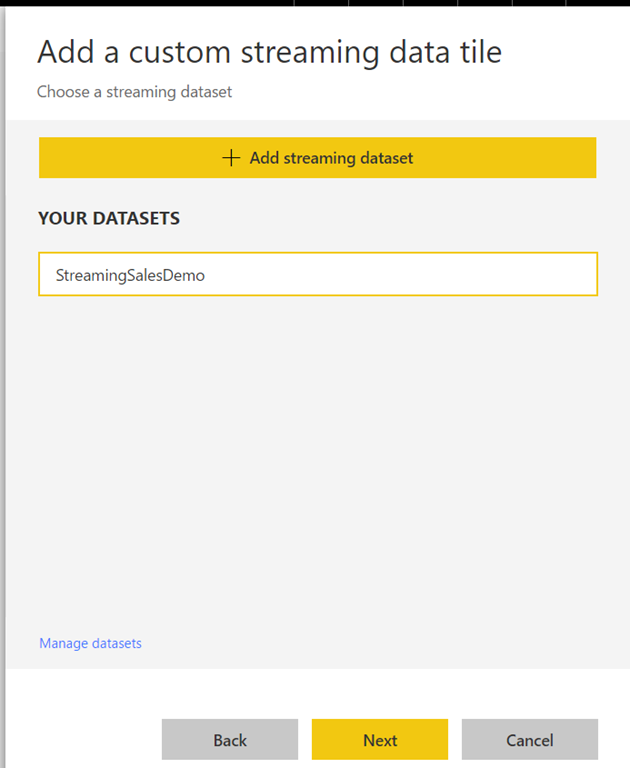 In any case, I don’t think you can use a streaming dataset as a data source for Power Query. You don’t even seem to be able to connect to a streaming dataset using Analyze in Excel. I’m testing Performance Counts from PowerShell script to Power BI Service’s streaming dataset each 2 seconds, and create Q&A reports. 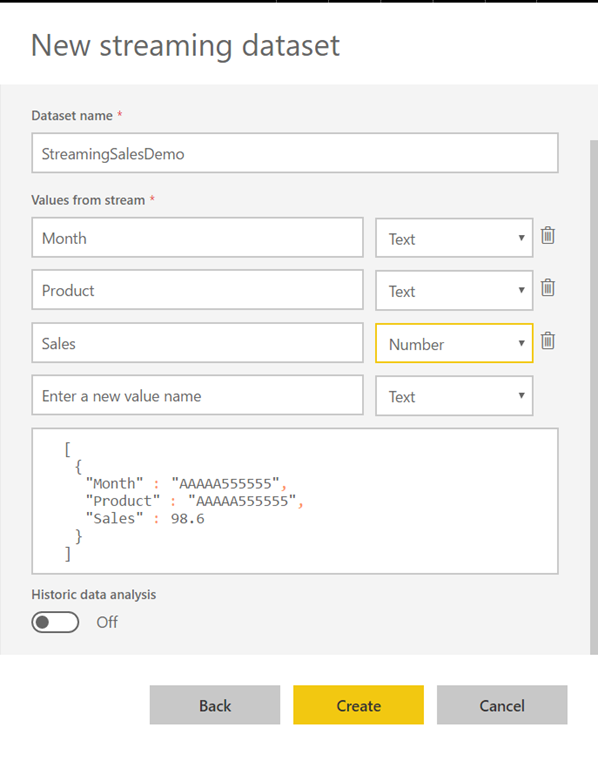 and also I’m test some data from Microsoft Flow to Power BI Service’s streaming dataset. I’m looking for more scenario’s. 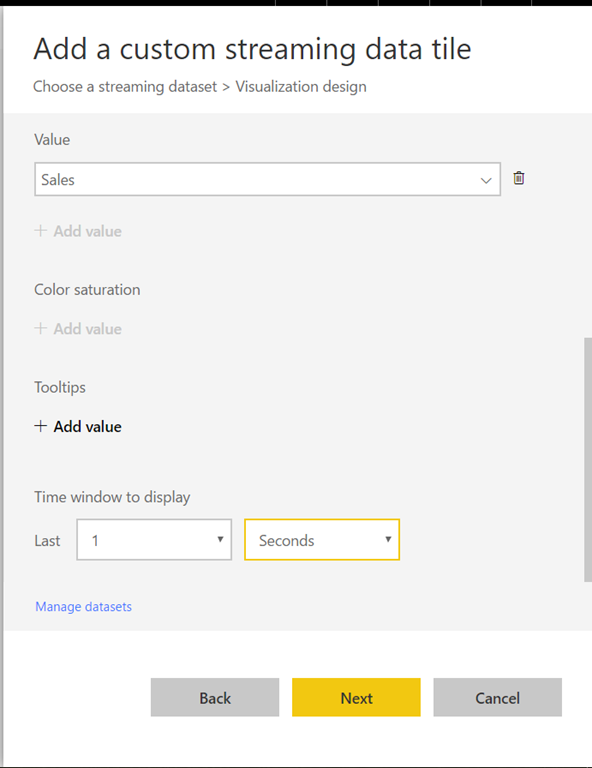 and sending the “Date” column with other data to Power BI Service. Yes, it’s quite easy to modify the M code to send the date as a column – the problem was the format of the date as it was displayed in a slicer, and that’s why I converted it to text. Expression.Error: The column ‘Month’ of the table wasn’t found. 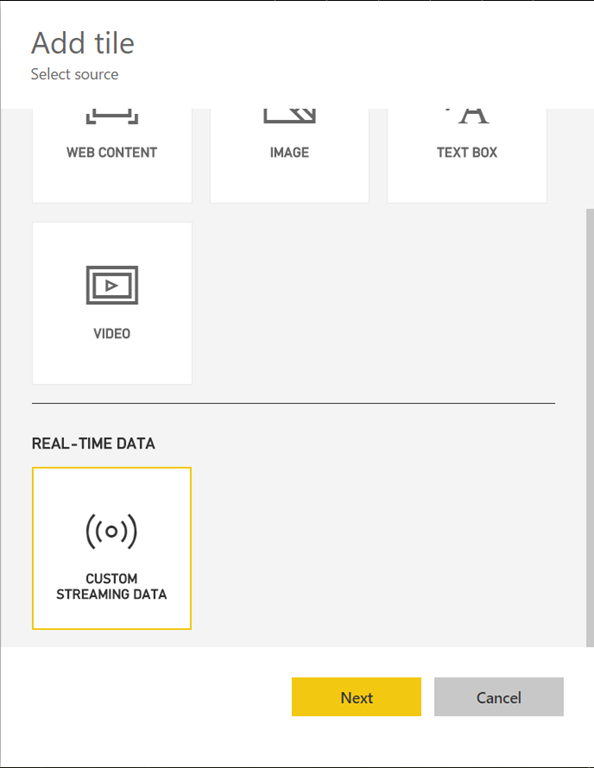 BUT Pinned visuals to dashboard from reports connected to a streaming dataset refresh automatically. 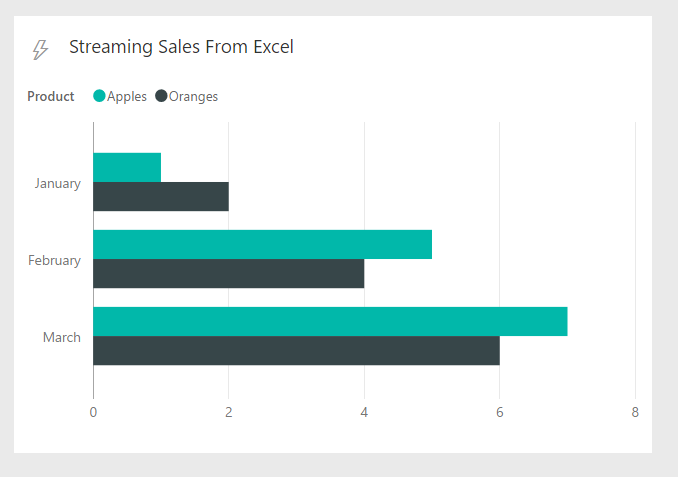 hello, can this be done using power bi desktop instead of power query in excel? Yes, the code will be almost exactly the same although you will have to get your data from an external data source. This solution seems to work only with Office 2013 and 2010. How about Office 2016? It should work fine in Excel 2016. What’s the problem? 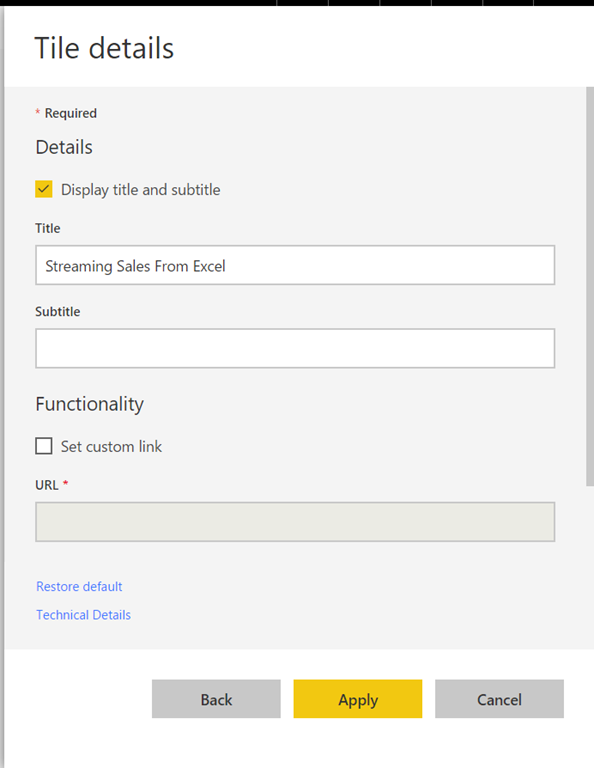 I try to filter my weekly reports (xml, csv, xls – files) with Power Bi Desktop and post results to power bi service using streaming dataset. The reason why I do this instead directly uploading .pbix to the cloud is that the reports do not include history data which streaming dataset seems to offers. ‘SendToPowerBI’ references other queries or steps, so it may not directly access a data source. 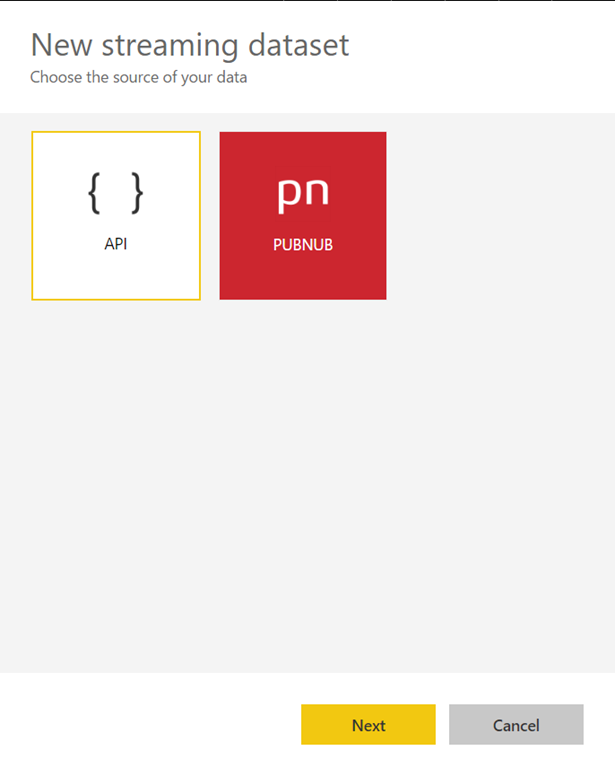 Please rebuild this data combination.When trying first time, It also asked me the level which anonymous authentication should be applied, I didn’t knew what to answer so I selected api.powerbi.com etc. Now I’ll get response 404 every time. I got this working in excel but not with Power BI Desktop. 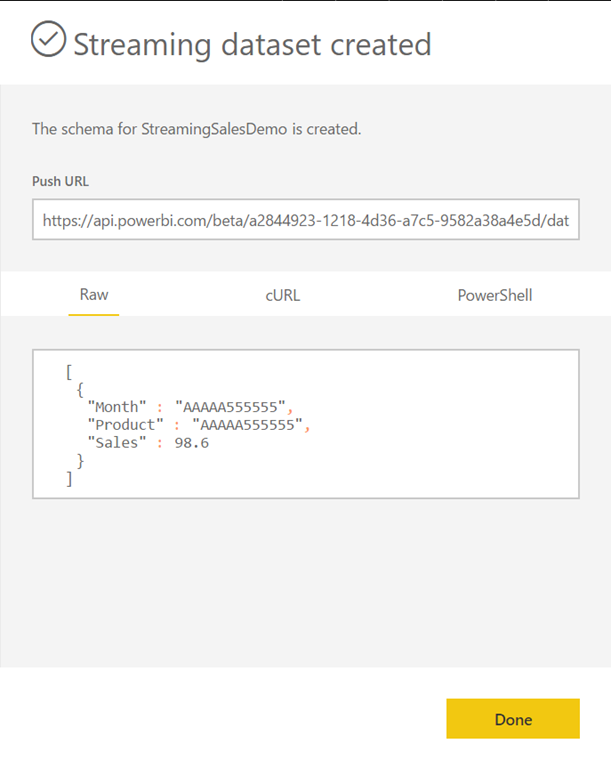 I found the option to remove credentials in Excel and created streaming dataset from scratch from Power BI service. I don’t know which one solved the jam, but now it works with anonymous account.The latest data looks ok in the dashboard but report shows duplicated data. Is there possible to filter data in the report so that it won’t sum duplicates which Excel sends (seems that during post Excel sends everything twice)? I might have the wrong aproach, because I need to collect data from .csv and .xls files to my reports weekly and keep the old data at the same time (the system where the data comes does not keep history). The streaming dataset seems quite dangerous to try to keep data. Is it possible to keep history data in Excel and post all periodically to the Power Bi service not just latest? How to draw report in this scenario? Personally, I would not use the streaming dataset approach in this case because it can only store a certain amount of data. Why not just keep all the csv and xls files in two folders, and then use the From Folder option to load all the data from all of the files? great article but im totally lost … I use Excel 2016 (Office 365) … these instructions arent suitable from what i can tell … any chance this article can be updated for Excel 2016? Everything here should work in exactly the same way in Excel 2016. What are you having problems with exactly? 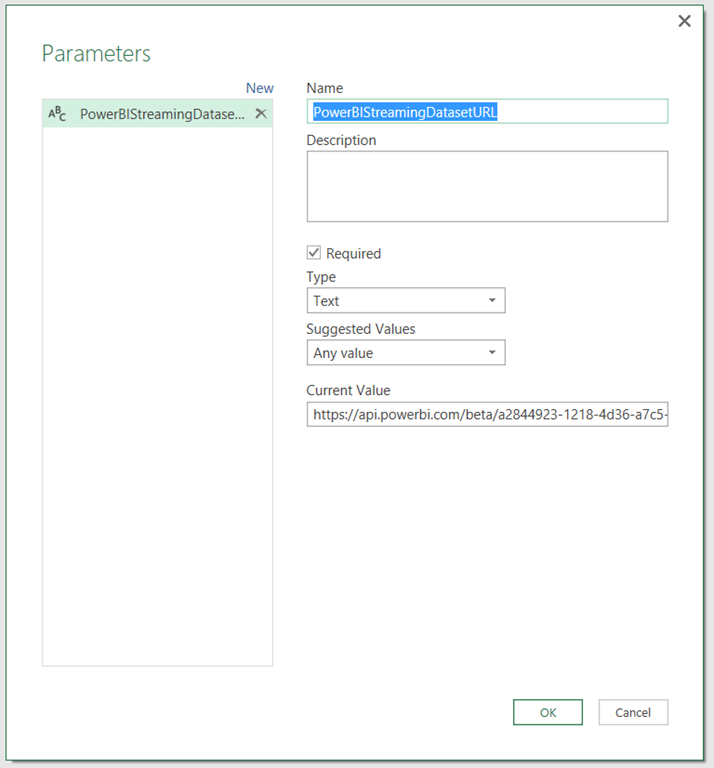 Hi Michael, you can open the Power Query Query Editor window in Excel 2016 by going to the Data tab in Excel and clicking the Get Data button – somewhere underneath there (it varies depending which version of Excel 2016 you have) there will be a menu option to “Launch Power Query Editor” or “Launch Query Editor”. One other thing Chris … for what its worth and im probably looking at the wrong thing here .. i have an Excel spreadsheet that has live financial data constantly updating .. id like to be able to use Power BI to view this data streaming straight from excel without having to save or refresh Excel or Power BI … is this possible? It might be but it will depend on how the live data is getting into Excel in the first place. You’re probably better off connecting Power BI directly to the source of your live data rather than going via Excel. The Live data im referring to is from the Bloomberg Desktop API. It feeds directly into Excel. From there, i use it raw but also have many calculations that create rich data foir my own use. Im really excited to see Power BI functionality and visuals, the UI is brilliant. So for my own purposes ideally this data could stream into Power BI – mostly from Excel given that i manipulate it but directly from Bloomberg if thats an option. The Bloomberg license only allows me to use their data on a device where my Bloomberg terminal is logged into, and i can only be logged into one device at a time – so given that there is no desire to make the Power BI visuals available or shared with anyone else. Is any of this possible without having to save or refresh Excel & Power BI? Hi Chris, i had another crack at this … sorry but cant get it to work. Hello, i’ve been struggling to create some real-time data dashboard with powerbi using excel. Glad to come across this article, it’s great! However, I had followed your instructions exactly for every steps but after loading the query, the updated date and time did not reflect on the excel, it shows the full set of query details instead. Anyway, I continued, and I managed to go all to the till adding a tiles but same thing, nothing is showing. I tried creating something with the data under the dataset heading, nothing is show except the column heading. Do you know what went wrong here? Sorry, I don’t know. Can you explain what you mean by “the updated date and time did not reflect on the excel”? Hi, I mean the part where it shows the “status” on first row and the following row saying “data updated successfully at DD/MM/YYYY, time”. Hi Chris, thanks for your post, but i’m frustated that i can’t display totals (sum, average, max) from the table. I added a second table in Excel with sum and average and added to powerquery (i created a second powerquery and a new PowerBI Stream) and i tried to add a card in powerbiservice but he displays…nothing ! have an idea how to display sum or average ? 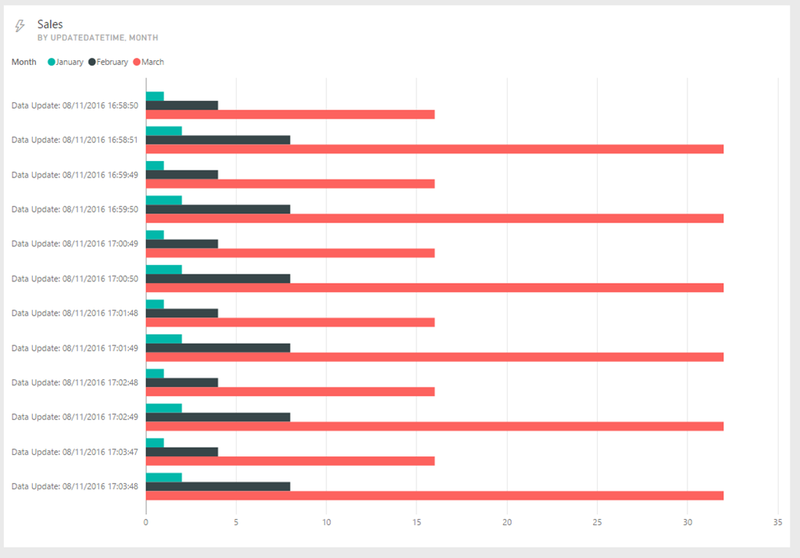 Hi Chris, i found how to display stats (like measures) : just create a table with headers (sum, average, etc…), write excel formulas for sum… and send this table to power bi, on the same dashboard and you have cards with values ! Hello Cris, thanks for this article. I’ve had a bit of trouble trying to get it to work – would you be able to make a video of you setting this connection up? If you could that would be great! Hello Cris, I am doing step by step what you wrote but It returns error related to credentials from API data source. What type of credentials are recommended in this case?